You must be wondering, “Why this site?” And, “Why are you wanting members of the Watchtower Bible and Tract Society (WBTS) to come here?” After all, what are we trying to accomplish? We are biblical Christians who live in Utah and work regularly with the culture of The Church of Jesus Christ of Latter-day Saints. To see the myriad of articles, YouTube videos, and other resource material, go to www.mrm.org. Do not conclude that there are different roads, or ways, that you can follow to gain life in God’s new system. There is only one. . . And there will be only one organization–God’s visible organization–that will survive the fast-approaching “great tribulation.” It is simply not true that all religions lead to the same goal. (Matthew 7:21-23; 24:21) You must be part of Jehovah’s organization, doing God’s will, in order to receive his blessing of eternal life. This philosophy is very similar to the Mormon culture that many of us live in throughout Utah, Idaho, and Nevada. Mormons are also told that The Church of Jesus Christ of Latter-day Saints and no other is the one true church on earth. Other religious movements, including Roman Catholicism, Islam, and others, teach the same thing. Jesus did say that there would be only one road to truth and that was through Him (John 14:6). Many members of religions (including the ones listed above) claim to be authentic followers of Jesus. Hence, Jehovah’s Witness theology is either true or it is not true. It cannot be true if Islam is true too. Nor can Watchtower theology be correct if biblical Christianity is true. This information is false. Click on Does the Bible really say that Jesus is God? for more information. Although JW leaders insist that Jesus is Michael the Archangel, we invite you to visit here for more information on this very important topic and explain why the Trinity is not a man-made invention but rather a biblical teaching. 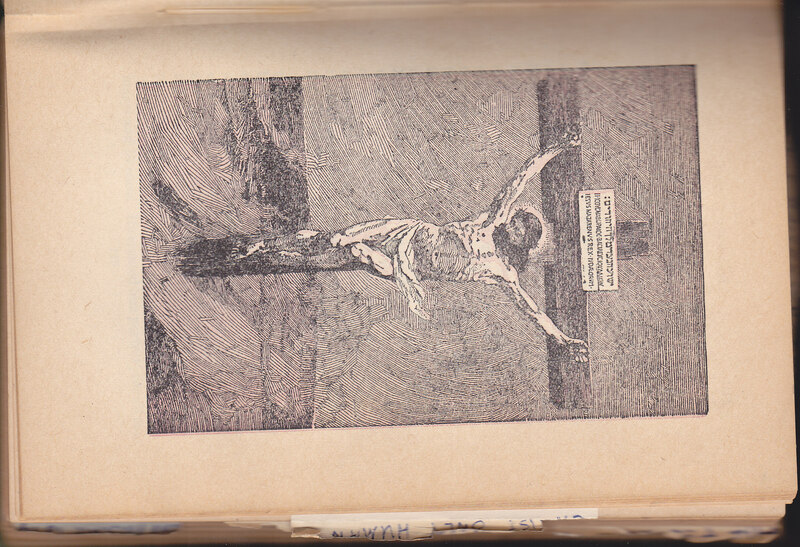 However, there was a cross on the cover of the Watchtower magazines beginning in January 1891. It remained there until October 1, 1931, a period of more than 40 years and 960 issues. And the WBTS taught that Jesus died on a cross until 1936. Take a look at the photo to the left. I own a copy of the book The Harp of God that was printed during the administration of J.F. (Judge) Rutherford in 1921. What you see here was printed on page 113! Does it look like the organization was minimizing the cross? To see a series of articles on the Trinity, click here. Jesus’ opposers accused him of making himself equal to God. (John 5:18; 10:30-33) However, Jesus never claimed to be on the same level as Almighty God. He said: “ The Father is greater than I am. ”—John 14:28. Jesus’ early followers did not view him as being equal to Almighty God. For example, the apostle Paul wrote that after Jesus was resurrected, God “ exalted him [Jesus] to a superior position. ” Obviously, Paul did not believe that Jesus was Almighty God. Otherwise, how could God exalt Jesus to a superior position? —Philippians 2:9. This view that Jesus is subordinate to God the Father has marked the Watchtower from its very beginning, despite the fact that Christians through the centuries have believed that Jesus is indeed God Almighty. In order to understand the verses above, we must understand Philippians chapter 2, verses 5 through 11. Here Paul says that Jesus was “in very nature God” but did not consider equality with God something to be “grasped.” However, Jesus humbled Himself to become a man and therefore experience death. It was this death and resurrection that provided the ability for Christians to believe in Jesus as Lord and Savior so they might have eternal life. Also see If Jesus is God, why did He say the Father was greater than He? John 1:3, Col. 1:15-16: Jesus created all things. Without Him “not even one thing was made.” In other words, Jesus is Creator God and could not have been created Himself (as JWs believe he was first created before the rest of the universe). John 14:6: Jesus is the only way to know God; there is no other way possible. John 20:28: Thomas calls Jesus “My Lord and My God.” This would appear to be blasphemous. However, Jesus commends Thomas in the next verse. So many other verses could be used. For more information on this topic, please visit Does the Bible really say that Jesus is God? In Jehovah’s Witness theology, there are two groups: The 144,000 Annointed Class, a group of people living during the 20th century and who are, for the most part, already dead; and the “Great Crowd,” which is made up of all other Jehovah’s Witnesses. For those who belong to the Annointed Class, there is the hope for heaven. For the Great Crowd, the hope is a “Paradise Earth” where good works are still required. 4 But God, beingrich in mercy, because of the great love with which he loved us, 5 evenwhen we were dead in our trespasses, made us alive together with Christ—by grace you have been saved— 6 and raised us up with him andseated us with him in the heavenly places in Christ Jesus, 7 so that in the coming ages he might show the immeasurable riches of his grace inkindness toward us in Christ Jesus. 8 For by grace you have been saved through faith. And this is not your own doing; it is the gift of God, 9 not a result of works, so that no one may boast. 4. Where does a person get authority? God’s visible organization today also receives theocratic guidance and direction. 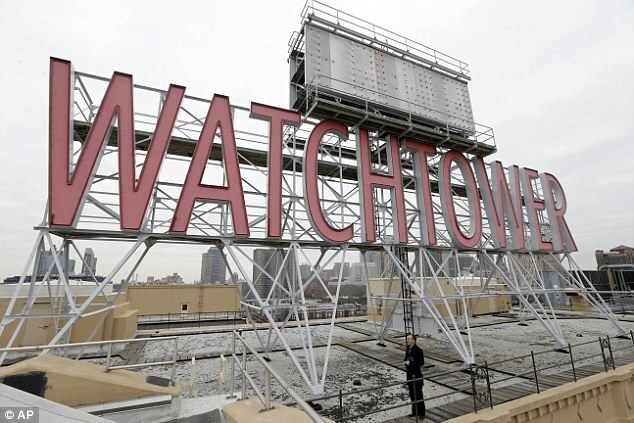 At the headquarters of Jehovah’s Witnesses in Brooklyn, New York, there is a governing body of older Christian men from various parts of the earth who give the needed oversight to the worldwide activities of God’s people. The governing body is made up of members of “the faithful and discreet slave.” It serves as a spokesman of that faithful “slave.” (You Can Live Forever in Paradise on Earth, p. 195). Of course, Jehovah’s Witnesses use the Bible too–specifically, the New World Translation. However, this is a bad translation. There are good Reasons Why it Makes Sense to Trust the Bible. Do you think Jehovah can be glorfied and pleased if someone believes false teaching about Him? Or is He only pleased when He is worshiped “in spirit and in truth” (John 4:24)? I think you would agree that the latter is true, and truth really does matter. In one short website page, I can’t pretend to cover every important issue or difference between the JW religion and what the Bible says. If you are a Jehovah’s Witness, I ask you to consider the resources that are listed below. If you are someone who has recently joined or who is thinking about joining the WBTS, I recommend looking at the other side. If the JW position is true, then it will only be confirmed by reading these other sources. But what if it’s not true. As nice as the leaders and fellow members of your kingdom hall might be, there is much at stake. Do your reserach and verify that you are following the truth. If you would like to consider a Bible-believing Christian church in Utah, please visit this website: http://www.mrm.org/utah-churches. These are people who care about you and your walk with God. If you would like to meet with Christians who would share the Christian gospel with you, please email me: eric at mrm dot org. Let’s meet halfway and, in a loving manner, let’s discuss these important issues. Do Annihilation and Resurrection Make Sense? Is a mere man a sufficient sacrifice for all of our sins? 1 Chronicles 29:20, is Jesus worshiped the same way David was? Does the Watchtower organization control the JW’s thinking?